I remember getting my first pair of glasses as a second grader, and dreading it. I found the tiny metal frames resting on the bridge of my nose not only uncomfortable and annoying, but also, rather hideous. I would take off my glasses for pictures, before visiting my childhood crush, and found every excuse not to wear them. For nearly a decade, I begged my mom for contact lens, and finally got my first pair freshman year of high school. 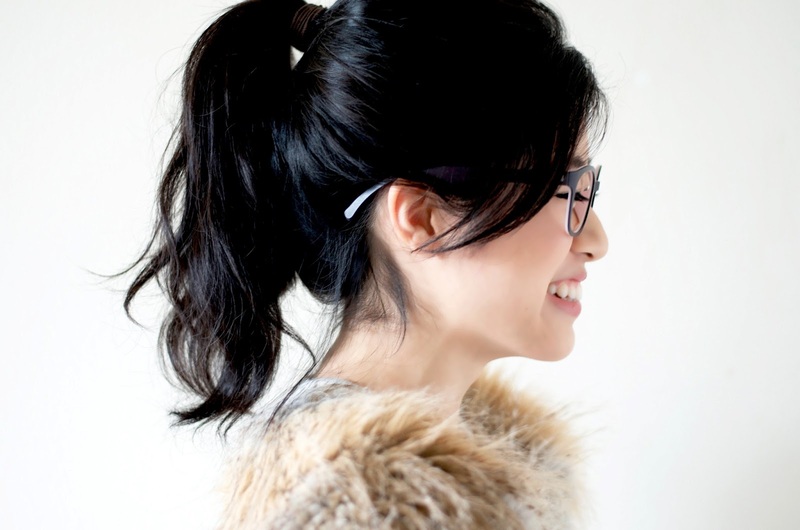 I haven’t stepped out of the house in glasses since then, but as I grow older, I realize, especially as a girl in her early 20’s, I spend way too much time fussing over tiny flaws and blemishes. Believe me, there’s always going to be something that troubles us at any age—maybe as a child, it was glasses, then in high school, acne, then as you grow older, weight—until finally, when you hit your 40s, wrinkles. I must admit, I fussed over, and, still continue worry about everything listed above, but realized, I’m always my harshest judge. Instead of spending more than half our lives focused on fixing our flaws, we should be grateful of what we’re blessed with, and love ourselves fully, turning our insecurities into something we're proud of! 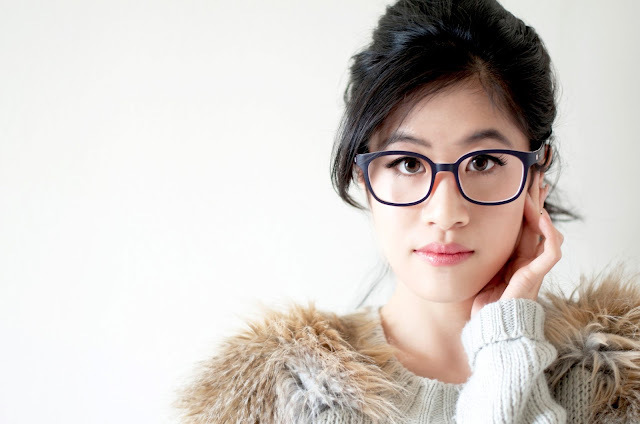 I did a photoshoot with my glasses on a couple of weeks ago, and encourage all of you to step out of your comfort zone, learn to accept flaws that bother you most, and love yourself for who you are. It is true. we are the worst critiques of ourselves. I still have not gotten used to wearing glasses. yours is super cute. where is it from? Thanks! I had this pair made when I was in Hong Kong. I wanted a pair of statement lenses that were durable. Since I'm clumsy, and almost always break my glasses, I custom made one that's nearly indestructible. hope you'd not mind giving me some beauty tips,for a good look,I am 17. Hi Shruti! I would love to! Feel free to facebook message or email me for anything, I'd be glad to help! I am like that too (I guess we all are) to a much sillier degree. I had bad eyesight since I was a toddler. I think I started wearing glasses at the age of 4. Then over the years, somehow my eyes improved. I don't know how, but a couple of years ago, I was deemed to have 20/20 vision, but my doctor said my right eye muscles are weaker than my left, so to prevent eye shifting from 'lazy eye,' he prescribed me reading glasses, which I don't need for everyday wear. But I actually wouldn't mind wearing them for style now that I'm older. lol isn't that crazy?? Hi Joy! Wow, its amazing how you went from wearing glasses at 4 to getting 20/20 vision. And yes, it is crazy--I have a blast picking out frames these days. 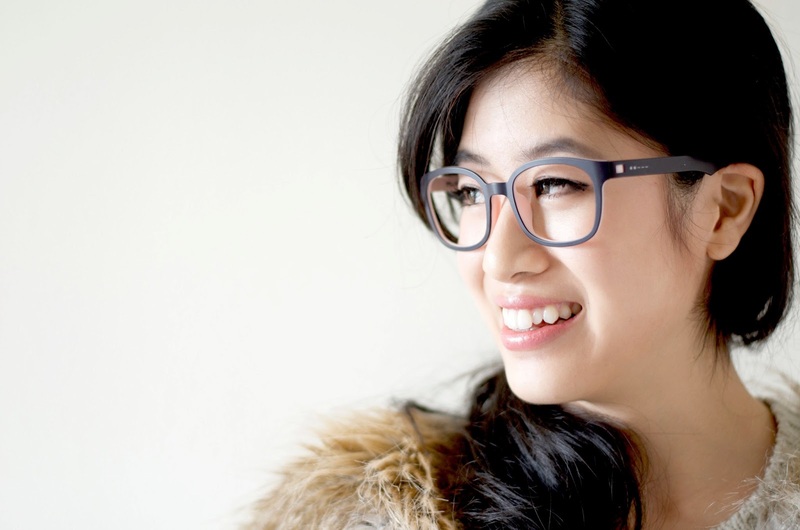 There seems to be such a vast selection, and glasses become a cute accessory to spruce up your outfit! Aww, I love this! And you are adorable in glasses. Very inspiring post Nicole! I used to fuss over my little imperfectness as well, i.e. small asian eyes and freckles. Now I'm much comfortable with what I have, and learn how to appreciate the asian beauty my features give me. keep the good work up, girl! Look forward to more inspiring pieces!